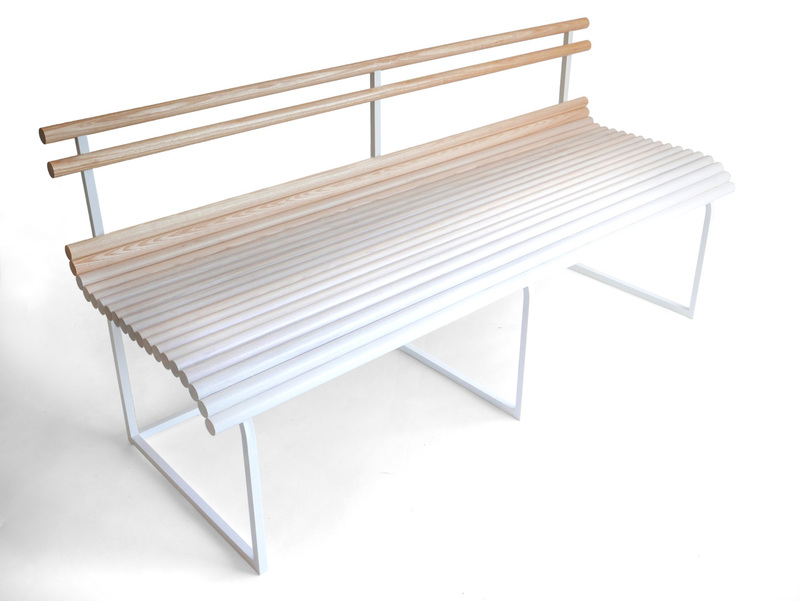 Like the ocean’s mist rising from seas over the forests of the west coast, the Fogbench also seems to be slowly bleached from bottom to top. 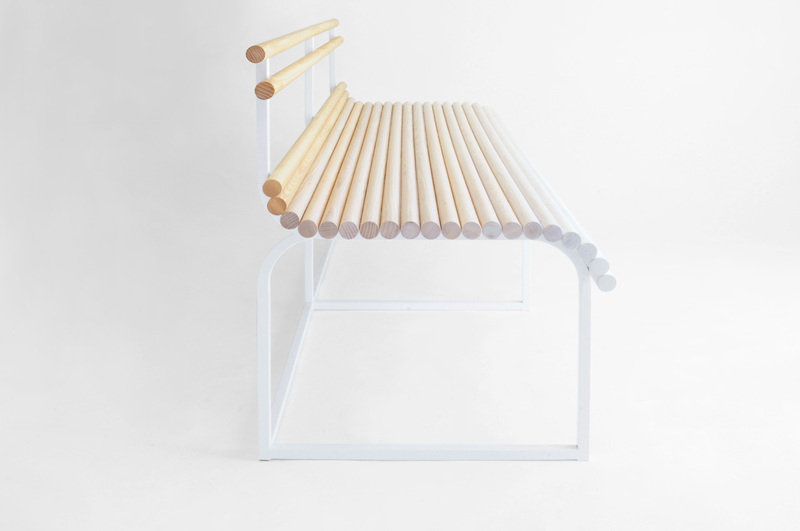 This functional wooden bench is formed of hand-dyed solid Ash dowel. 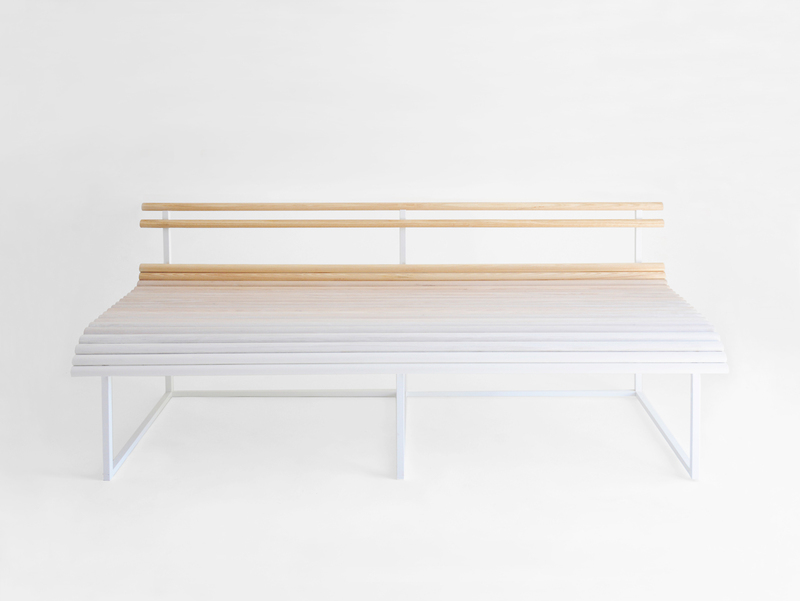 Fogbench displays a gradient moving from an opaque white lower seat slat to an oil-finished pure wood backrest. 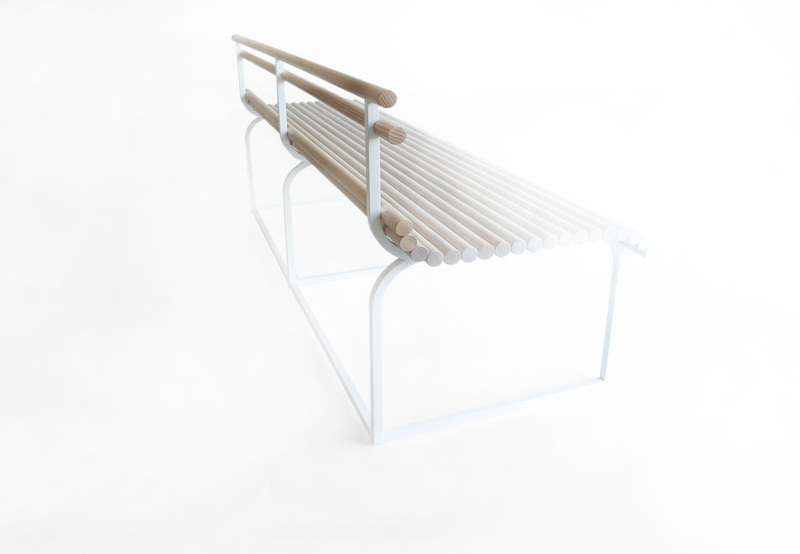 Solid white ash and powder coated steel. 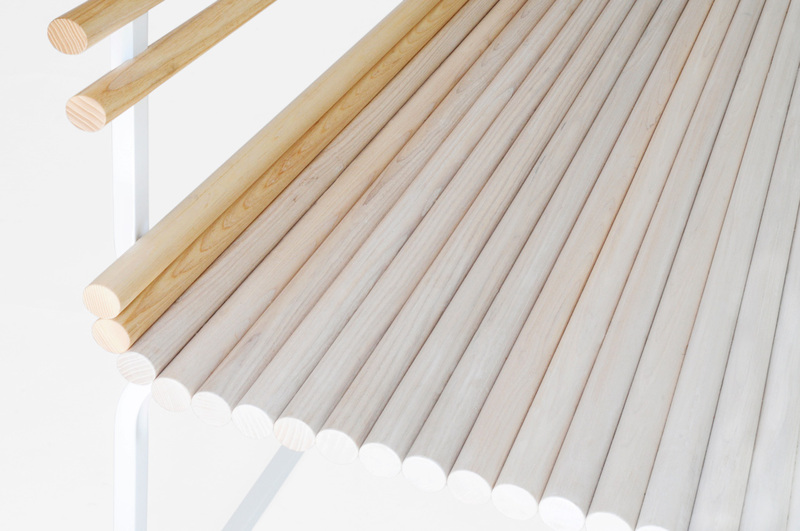 Oil, dye and low-VOC satin lacquer.